Doris C. Keenan, 90, of West Brighton, died on Saturday, Dec. 17, 2016. She was the dear daughter the late Josephine (nee Langford) and William MacDonald, and beloved wife of the late John J. (1990). Doris was born in Tompkinsville and lived in Westerleigh before moving to West Brighton in 1951. 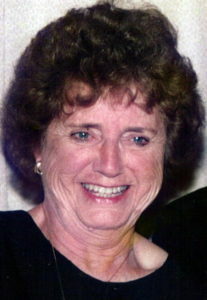 She was a member of the St. Monica’s Guild of Sacred Heart School, and AARP. Her hobbies included gardening, traveling and soap operas. She was the loving mother of Joann Aiello, Laura Keenan- Zeller, John J. (Jack), Thomas J. and the late William (Bill) Keenan; adored grandmother of Shaun and Michael Keenan, Kristen and Matthew Aiello, Jenna, Megan and Taylor Zeller; and great-grandmother of Kayleigh and Liam Keenan. Funeral is from Cherubini- McInerney Funeral Home (formerly Meislohn -Silvie), 1289 Forest Ave., on Wednesday at 10:15 a.m., with a Mass at Sacred Heart R.C. Church at 11 a.m. Burial is at Moravian Cemetery. Friends are invited to visit on Tuesday from 2 to 4 and 7 to 9 p.m. In lieu of flowers, the family would appreciate donations to Seton Foundation for Learning, 315 Arlene St., Staten Island, N.Y. 10314, (718) 982-5084.